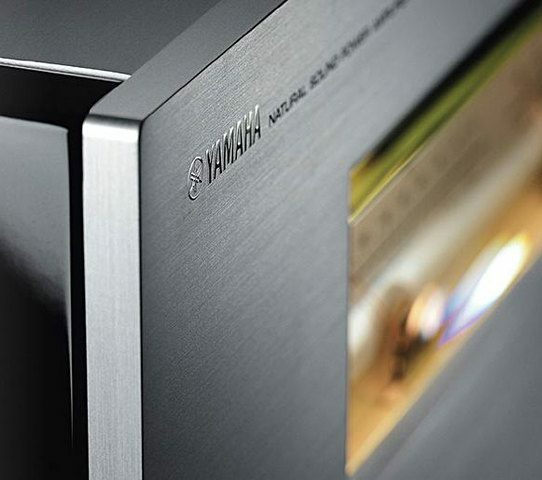 Shizuoka, Japan | 2018 – Yamaha Corporation proudly presents the M-5000 Power Amplifier. 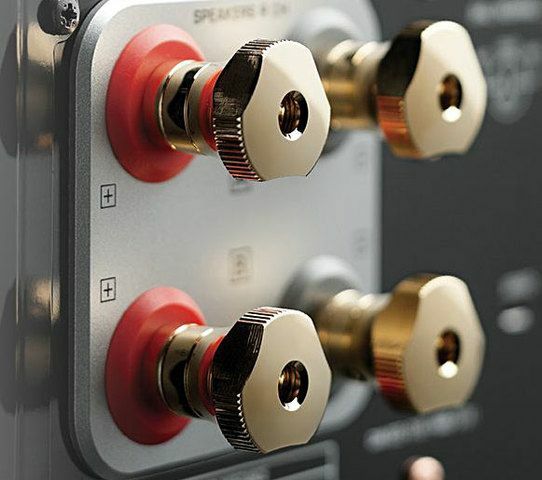 Meticulously designed, the M-5000 adopts a perfectly symmetrical layout to isolate the left and right channels both physically and electrically. 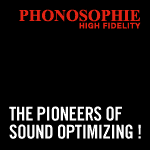 The deliberately simple design which also serves to reduce the signal path as much as possible, minimises energy loss and achieves lower impedance for high-fidelity performance. 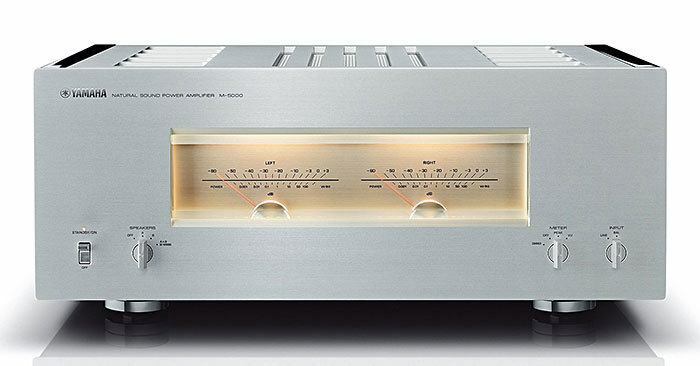 As opposed to conventional power amplifier designs whereby power is supplied via a power transistor and the negative polarity is connected to ground, the power supply of the M-5000 is connected directly to each positive and negative side of the output stage. 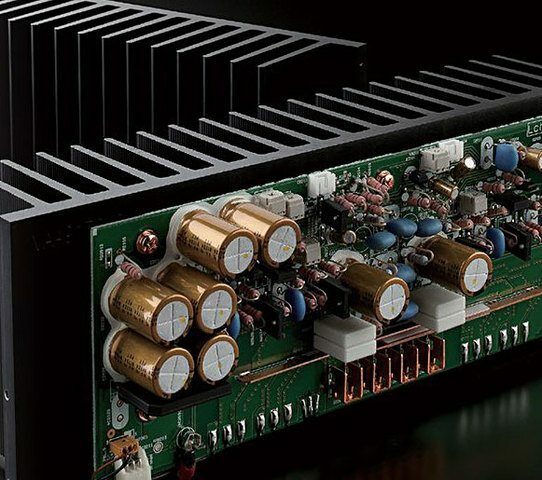 Completely floating the entire power amp circuit from the ground removes any undesirable impact of minute voltage fluctuations or ground noise. 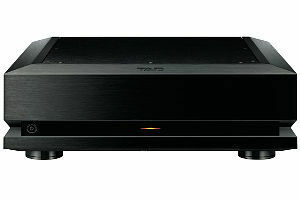 The design also creates an ideal symmetrical layout for employing MOSFET power amplifiers, improving drivability for low impedance speakers. The M-5000 has been designed from the ground up to maximise rigidity – reducing unwanted vibration for optimal sonic performance. Further, employing a mechanical ground concept by fixing the power transformer, block capacitors and heat sink directly to the rigid streamlined construction with bolts ensures they are fully supported and eliminates the influence of vibrations. 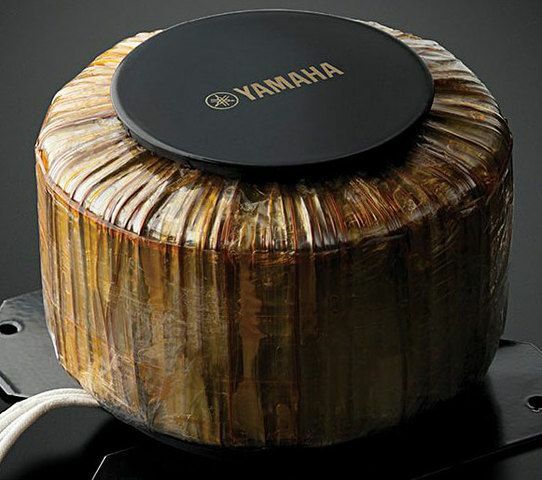 Delivering high-fidelity performance, a massive toroidal transformer is utilised with a 3 mm thick pure brass base which suppresses unwanted vibrations. 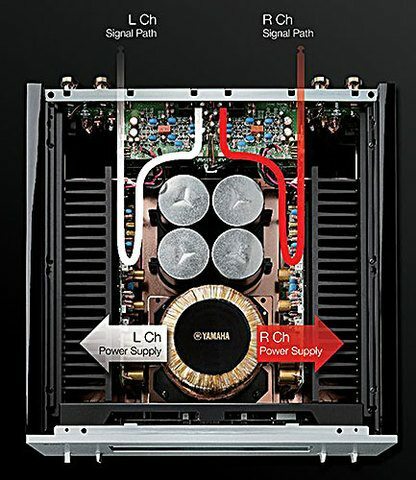 In addition, the power transformer does not influence the surrounding audio circuits due to less leakage flux. The drawn-out copper wiring from the winding core contributes to the low impedance design by markedly reducing the loss of energy when compared to conventional designs. 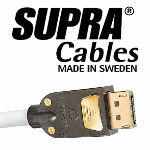 Thick wires and screw-type connections contribute to the low-impedance design of the M-5000 – minimising energy loss that would otherwise typically occur in conventional connections and wire assemblies. 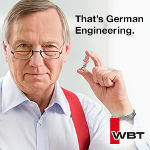 The use of screws and brass terminals directly on the block capacitors as opposed to solder promotes a strong, low impedance connection. All aspects of the M-5000 design were considered in producing this flagship model. Its construction exudes master craftsmanship and reflects an obsession with achieving the highest levels of performance. The feet are no exception. Original in its design, the heavy-duty brass feet function either as fully supported spikes or with a scratch guard base for use on delicate surfaces. 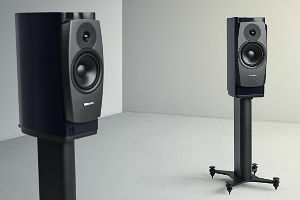 The M-5000 features large, high-precision meters on the front panel, enabling audiences to visualise the dynamics of the music. Measuring 7 mm thick and made from Asahi glass, these quality meters only enhance the luxurious and exceptionally elegant aesthetic of the M-5000.